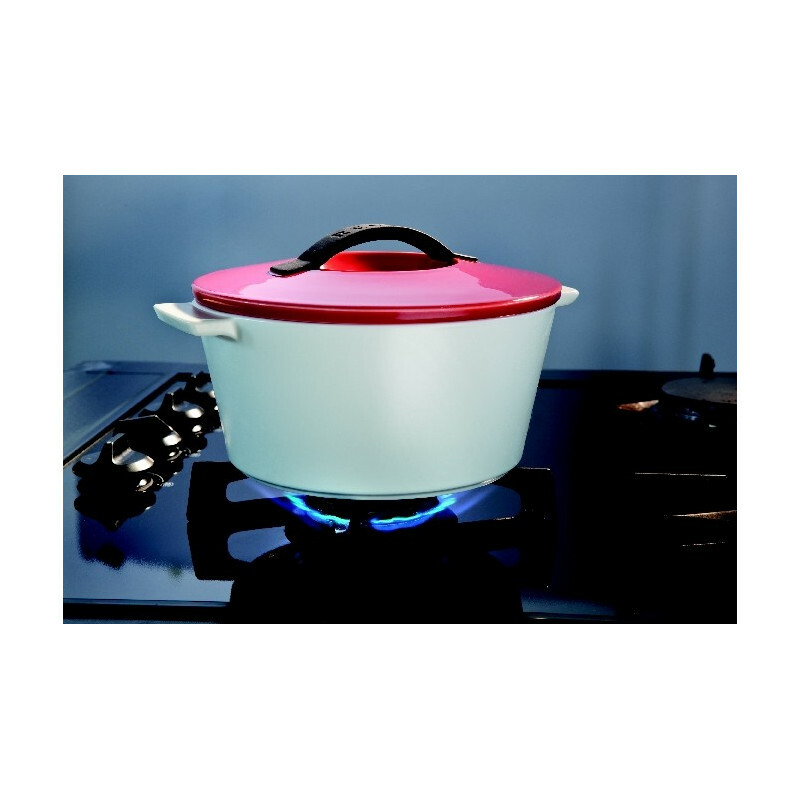 Revolution is the Revolutionary Dutch oven, entirely made of ceramic, suitable for every heat source including induction, stovetop, electric top, oven and microwave. This cookware collection is Revolutionary because after 2 years of challenging research, we introduced a unique cocotte that would change the way of cooking and baking. This casserole is twice lighter than cast iron but will perform in a similar way without rusting or scratching. 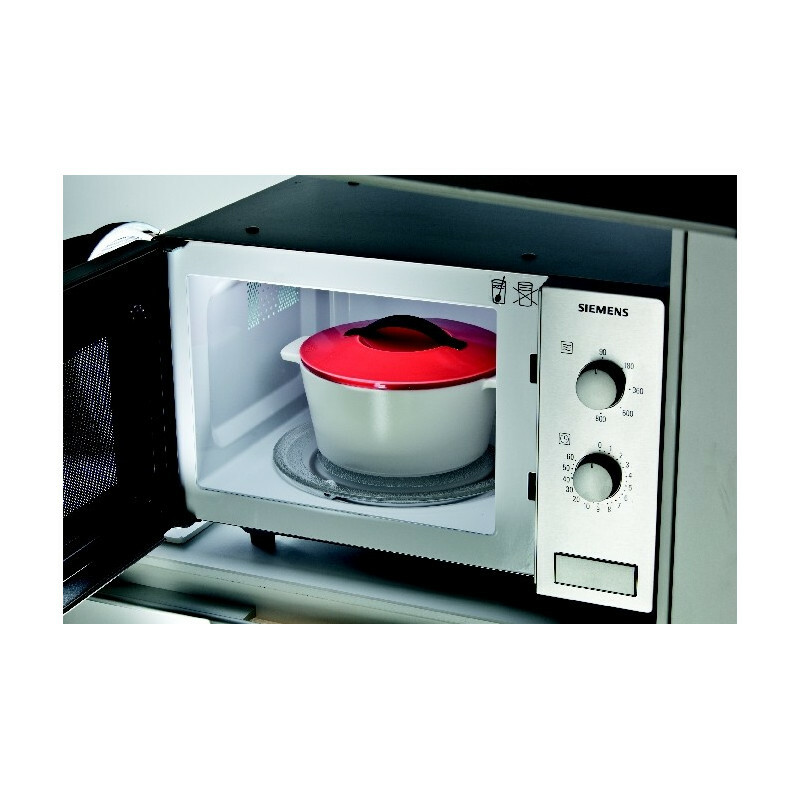 Resistant to both thermal and mechanical shock, Revolution has an off-white base equipped with a patterned technology that activates induction but does not hurt the microwave. 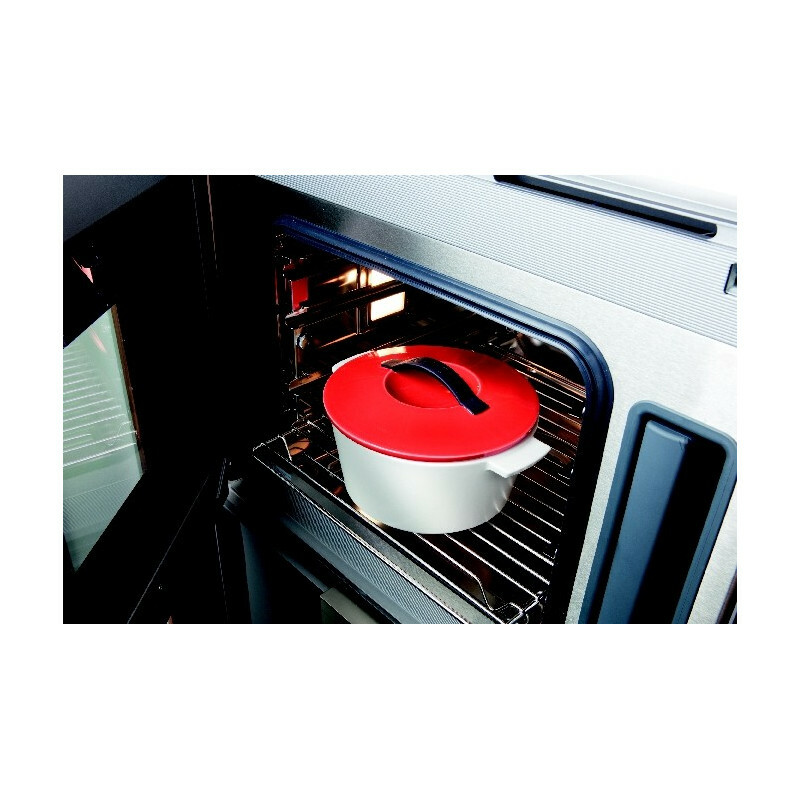 Naturally non-stick, it is easy to sear, roast or bake for long time any types of food. 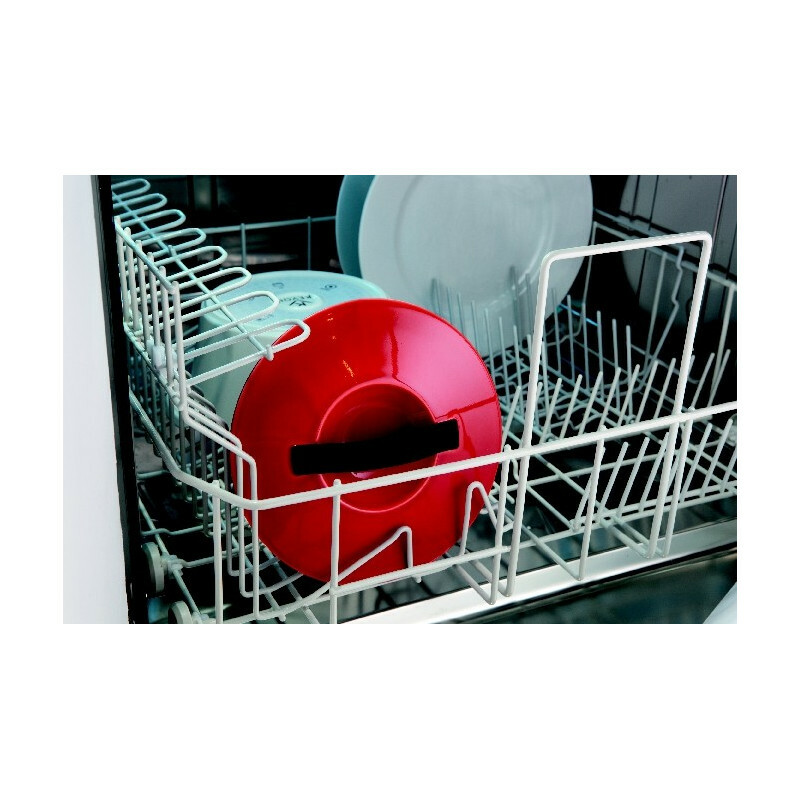 And the best part is that it is easy to wash, by hand or in the dishwasher. 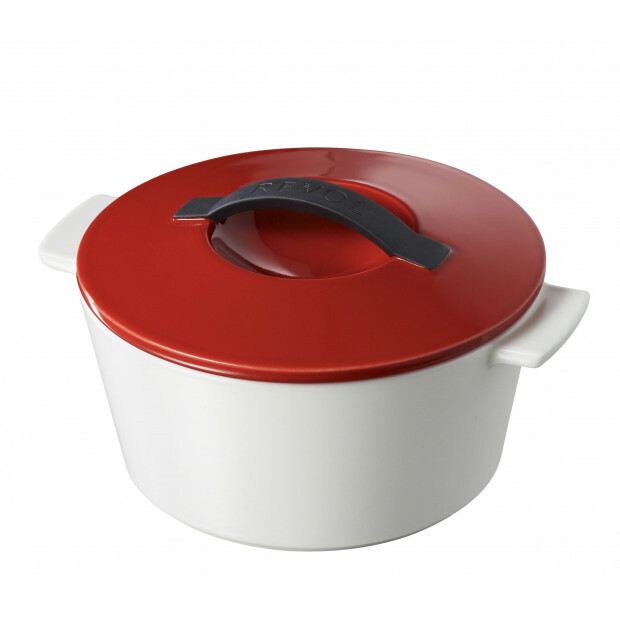 The beautiful red lid, very modern looking, is equipped with dots to allow a better condensation while cooking so your food doesn’t dry. Also available in different colors and sizes. Ceramic being a natural material, and because it does not contain any heavy metals or toxins, this will be your go-to pot to feed your friends and family. 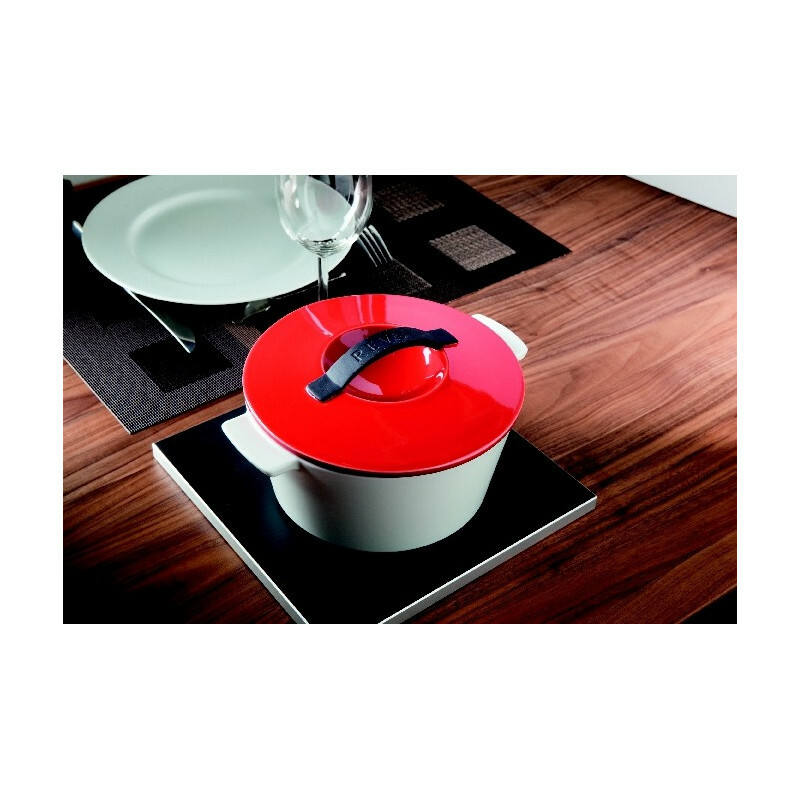 Revolution will bring modernity and elegance to your kitchen and table when preparing and serving dishes. 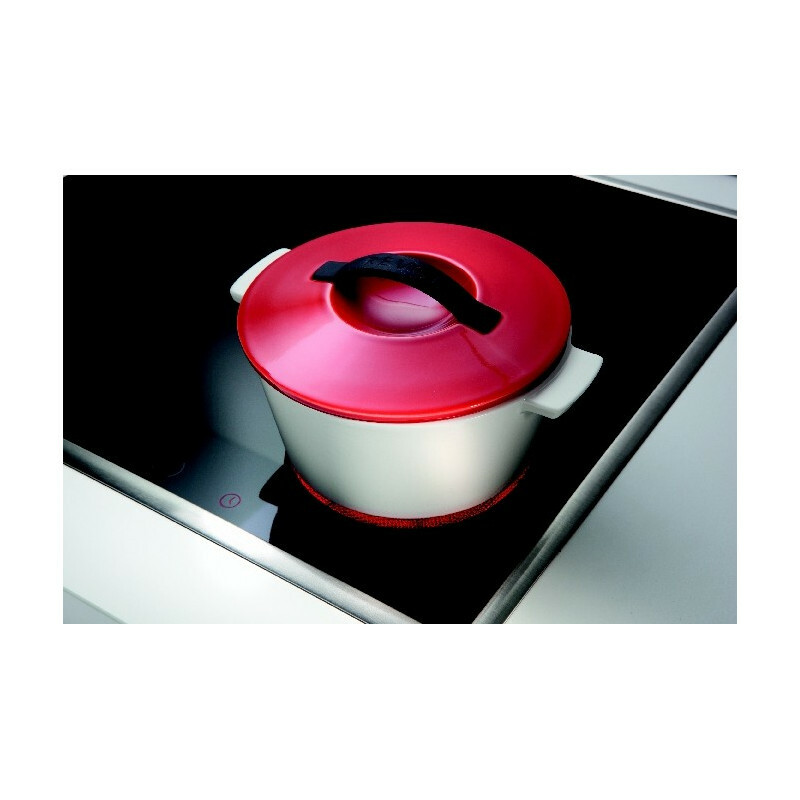 Revolution is definitely the best ceramic cookware you can find on the market, and will last for years.